Verma had resumed duty as CBI director on Wednesday, a day after the apex court paved his return with some riders. 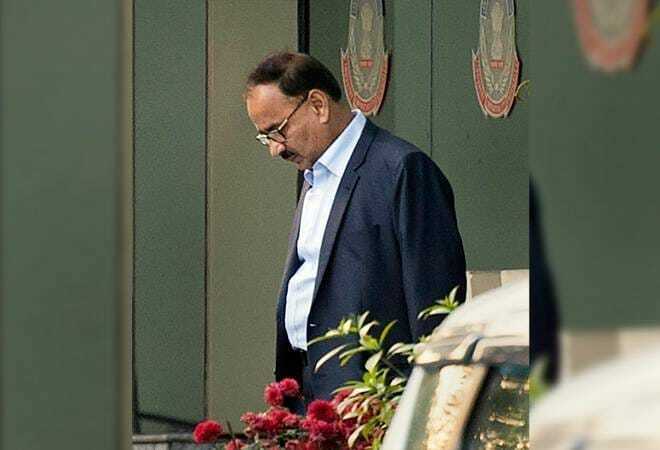 Barely a day after being sacked from the post of CBI director unceremoniously by a selection panel led by Prime Minister Narendra Modi, Alok Verma resigned from the Indian Police Service on Friday. Headed by the prime minister, the high-powered committee comprised Leader of Congress in the Lok Sabha Mallikarjun Kharge and Justice A K Sikri, appointed by Chief Justice of India Ranjan Gogoi as his nominee. Verma, who was due to retire on January 31, was told to take charge as DG Fire Services on Friday, but he refused to take the new role and tendered his resignation in protest of his transfer order. The charge of the CBI has been given to Additional Director M Nageshwar Rao, said a government order issued on Thursday evening. Lashing out against the decision, the former CBI chief said that he was transferred on the basis of "false, unsubstantiated and frivolous allegations". "Natural justice was scuttled and the entire process was turned upside down in ensuring that the undersigned is removed from the post of the Director," news agency ANI quoted from a statement issued by him. A 1979-batch IPS officer, Verma had resumed duty as CBI director on Wednesday, a day after the apex court paved his return with some riders and asked the three-member panel that selects the CBI chief to decide on his continuance in a week in the light of charges against him in the report of the Central Vigilance Commission(CVC). According to officials, there were eight charges against Verma in the CVC report presented before the panel which included alleged attempts to induct tainted officers, compromising probe in the case related to controversial meat exporter Moin Qureshi, IRCTC scam among others.